Summer is the season for grilling. However, an average of 8,900 home fires involving grills, hibachis, or barbecues occur each year in the United States. 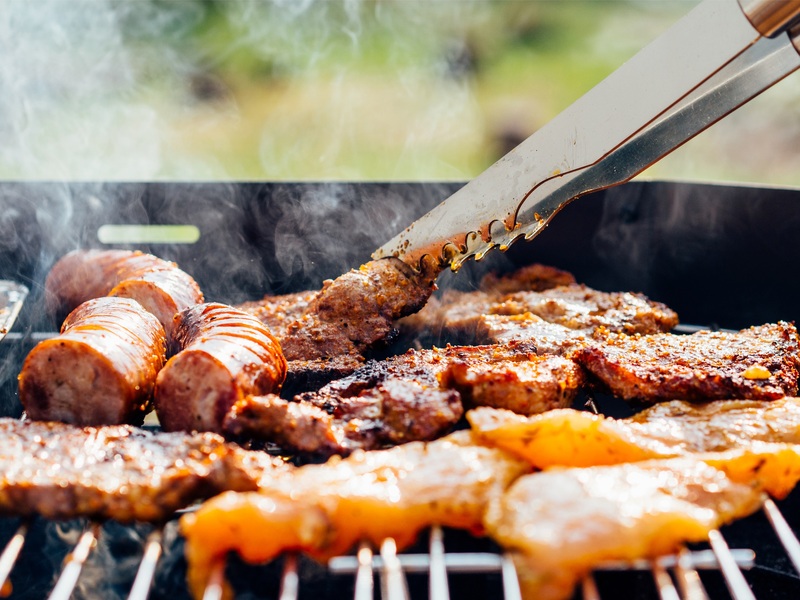 In 2014, 16,600 patients went to emergency rooms due to injuries involving grills, and 1,600 children under age five suffered thermal burns, caused by touching a hot surface. Safety aside, grilling-related fires cause about $118 million in property damage each year. Clearly, it’s important to keep safety in the forefront when enjoying all that your grill has to offer. 1. Keep the grill well away from your home and deck railings, and out from under eaves and overhanging branches. 2. Remove grease or fat buildup from the grill and in trays below the grill. 3. Never leave your grill unattended, and keep children and pets at least three feet away from the grill at all times. 4. Always make sure the lid of a gas grill is open before lighting. 5. If using starter fluid for a charcoal grill, use only charcoal starter fluid, and never add charcoal fluid or any other flammable liquid to the fire. Keep charcoal fluid out of the reach of children and away from heat sources. 6. If your charcoal grill has an electric starter, use an extension cord. 7. When finished grilling, let the coals cool completely, then dispose in a metal container. Tips compliments of www.insurance.pa.gov and the National Fire Protection Association.